The Castle Fun Center Add-On activities include Ballocity, Roller Skating, Laser Maze, Swing Ride, Dragon Frenzy 360, Free Fall, Rock Climbing, Laser Tag, Arcade, seasonal Go Karts, Zip Line and Mini Golf! 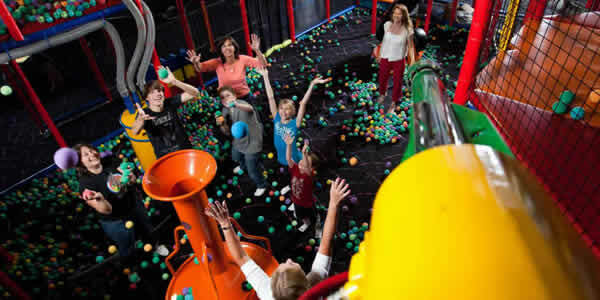 Add Castle Fun Center activities or we can customize your event with any entertainment options! Castle Activities to add onto your next event at The Event Center. The Castle Fun Center Add-On activities include Ballocity, Roller Skating, Laser Maze, Rides, Rock Climbing, Laser Tag, Arcade, seasonal Go Karts, Zip Line and Mini Golf! Or, if you are looking for a smaller company outing, check out our All Access Party Option here! 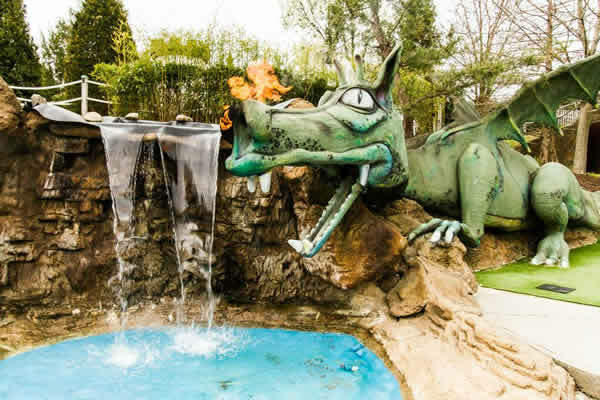 For more information about attractions, visit The Castle Fun Center’s Website Here. Our Go Kart Tracks Are Open Year Round! The Castle Fun Center has 3 adrenaline pumping Go Kart tracks, catering to all Go Karting ages and skill levels. 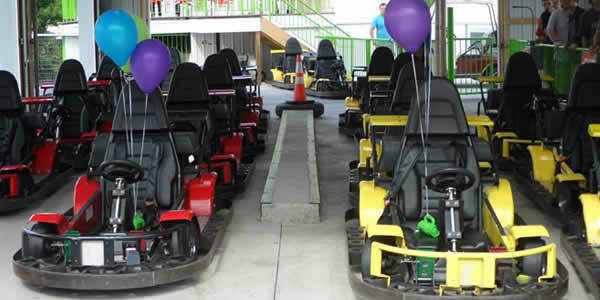 Whether you’re looking for a place for a party, a way to unwind, or a unique type of corporate event, our Go Kart racing tracks provide a fun, exciting way to experience Go Kart racing. 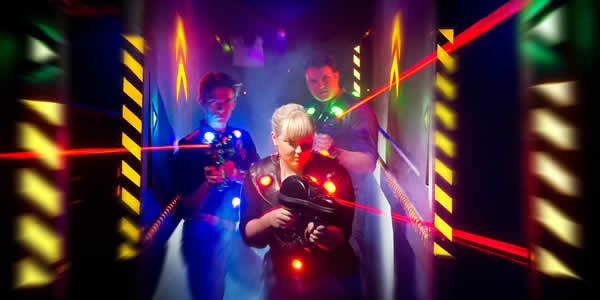 Laser Tag Is Interactive Thrilling Fun! The Castle Fun Center’s multi-level Laser Tag arena is lit entirely by black light, with a pulsating sound system & theatrical fog to heighten your senses! Your heart will race as you wind through the dungeon walls, across bridges, and around corners. 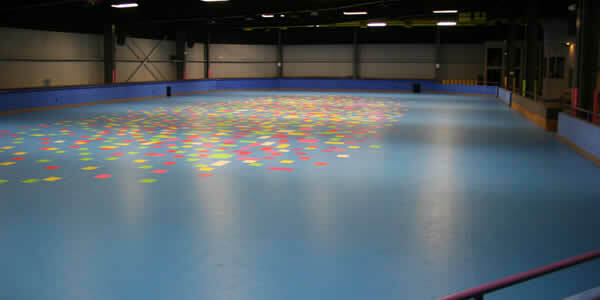 10,000 Square Foot, Air Conditioned Roller Skating Rink, With Exciting Lighting & Sound Show! 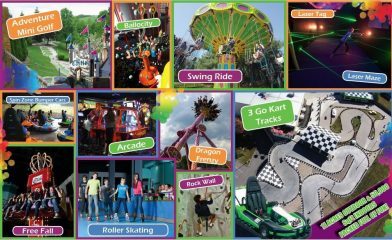 The Castle Fun Center is the Tri State Areas premier Roller Skating Rink offering the best Amusement & Entertainment in NY, NJ, CT & PA.
Ballocity Is Guaranteed Hours Of Fun For Children & Adults! Our Ballocity area is a 2 story play structure for children and adults! The structure has thousands of foam balls that are used for entertainment by blasting them at each other and at targets with air cannons. Our Zip Line gives you a birds eye view of Orange County! Take FUN to new heights with our new Zip Line! Discover the sensation of flying in our new, family friendly, dual seat zip line that soars 130 feet high, 700 feet long with a top speed 30 mph as you glide high above The Castle offering a scenic, panoramic view of Orange County New York.